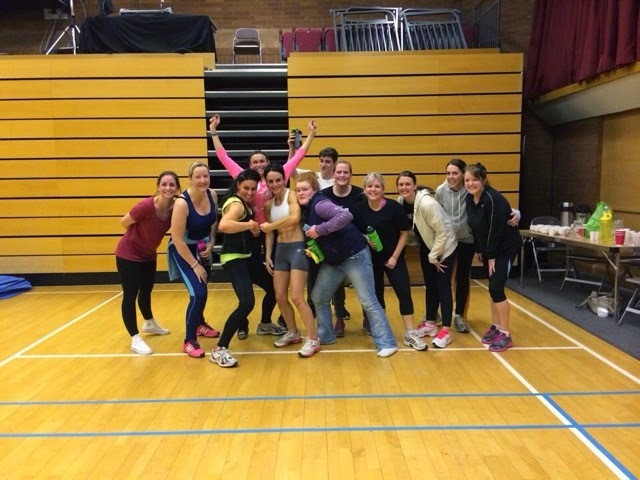 Kerr-Ann and Tracey got together to create the two free fitness classes every week at The Forum in Northallerton (Wednesday evenings 7pm & Thursday Mornings 10.30am) and it was only correct that I joined in especially after inviting guests to meet me there. I knew and understood working out/exercise was excellent for health and wellbeing and I consistently recommended doing it to my team members and customers but wasn't leading by example so here I am at my very first class which just happened to be an INSANITY WORKOUT wow I Felix it after. Probably because I didn't own a pair of trainers so all the jumping about on my sock covered feet didn't help my muscles.